Newcomers were no match for Disney’s “Captain Marvel” at the domestic box office. The superhero blockbuster soared past the competition, bringing in $ 69 million in its second weekend of release. Marvel’s first comic-book tentpole to spotlight a female superhero surpassed $ 265 million in ticket sales domestically. Overseas, “Captain Marvel” crossed $ 494 million for a massive global haul of $ 760 million. 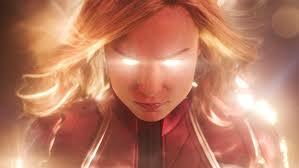 In less than two weeks, “Captain Marvel” has eclipsed the lifetime sums of numerous superhero adventures, including “Ant-Man and the Wasp” ($ 623 million), “Iron Man 2” ($ 624 million), “Thor: Dark World ($ 645 million), and “Captain America: Winter Soldier” ($ 714 million). It’s already the 22nd-biggest comic-book release ever. After a sluggish start to 2019, it has been “Captain Marvel” to the rescue. Ticket sales are up over 3 percent from the same weekend in 2018, according to Comscore. As a whole, the domestic box office is still struggling to match last year’s record with receipts pacing 19 percent behind 2018. Paramount Pictures’ “Wonder Park,” an animated adventure set in an amusement park based on the imagination of a young girl, bowed in second place and had the best start among new releases. It arrived ahead of industry expectations with $ 16 million when it launched in 3,838 locations, though it will need to pick up steam to justify its healthy budget. Paramount spent nearly $ 100 million to produce the film, not including marketing and distribution costs. Since the PG-rated “Wonder Park” appeals to a younger crowd, the studio anticipates moviegoing will gain traction as students will be out of school for spring break. As expected, families accounted for 62 percent of “Wonder Park’s” opening weekend audience. “Wonder Park,” featuring the voices of Jennifer Garner, Matthew Broderick, John Oliver, and Mila Kunis, was not well received among critics. Audiences were slightly more enthusiastic, giving it a B+ CinemaScore. Landing at No. 3 is CBS and Lionsgate’s “Five Feet Apart,” a romantic drama about two teenagers who meet and fall in love while being treated for cystic fibrosis. Directed by “Jane the Virgin” actor Justin Baldoni, “Five Feet Apart” generated $ 13 million from 2,803 venues, a sizable start considering it carries a $ 7 million price tag. Starring “ The Edge of Seventeen” and “Split” actress Haley Lu and Cole Sprouse, the film catered mostly to young females. Women represented 82 percent of opening weekend crowds, while 45 percent were under 18 years old. Lionsgate has three films in the top 10 this weekend. The studio’s “Tyler Perry’s A Madea Family Funeral” nabbed fifth place, adding $ 8 million for a domestic tally of $ 59 million. From Lionsgate’s Pantelion Films, “No Manches Frida 2” placed in sixth, earning $ 3.8 million from 472 theaters. That result is on par with the first film, “ No Manches Frida,” which debuted with $ 3.6 million before ending its box office run with $ 11.5 million. Other new releases include Focus Features and Participant Media’s “Captive State.” The fantasy thriller placed seventh on box office charts, debuting with a disappointing $ 3 million from 2,547 theaters. Directed by “The Rise of the Planet of the Apes” filmmaker Rupert Wyatt,” “Captive State” was poorly received by both audiences and critics. It carries a C- CinemaScore, along with a 43 percent on Rotten Tomatoes. Universal’s “How to Train Your Dragon: The Hidden World” secured fourth place, picking up $ 9.3 million from 3,727 locations. That takes the conclusion of the animated trilogy past $ 135 million in ticket sales in North America. At the specialty box office, Focus Features’ “The Mustang” amassed $ 76,000 when it debuted in four theaters, averaging out to $ 18,950 per venue. The feature directorial debut of French actress Laure de Clermont-Tonnerre, which follows a convict who participates in a rehabilitation program that involves training wild mustangs, skewed toward women as females made up 66 percent of its opening weekend audience. The studio is expanding it to 50 theaters next weekend. Meanwhile, Fox Searchlight’s “The Aftermath” opened on five screens, earning $ 57,000 over the three days ($ 11,500 per location). The war drama stars Keira Knightley, Alexander Skarsgard, and Jason Clarke. March looks to cap off a solid month at the domestic box office with Jordan Peele’s “Us” arriving next weekend and Disney’s remake of “Dumbo” hitting theaters shortly after. Both films are expected to debut with over $ 35 million in ticket sales.